Many names were given to this grape over time and a simple listing of them could offer us obvious clues about the places where it has been established so far, proving also its capacity to be enjoyed. To spare from effort those curious by nature, Babeasca Neagra is known under almost 80 different names in many parts of the world. Outside Romania, Babeasca Neagra could also be found in the Republic of Moldova under the name of “Rara Neagra” and with the title of “national cultivar”, in Ukraine and Daghestan, drank as “Chernyi redkii”, respectively “Asil Kara”, and for some years in United States, being bottled under the name “Sereksiya”. It is a variety with deep roots in the history of viticulture (some specialists in ampelography date it somewhere in the XIV century), Babeasca developing several clonal variations and mutations, forming new grape varieties: Babeasca Alba and Babeasca Gri. In the early 2000’s, the area occupied by plantations of Babeasca in Romania was estimated at approximately 6,000 hectares, a ranking that placed Babeasca as the most spread Romanian red variety. In 2008, statistics indicated a declining cultivated area of ​​approximately 4,500 hectares. Current figures made available by the National Vine and Wine Patronage show a producers’ fall in interest into this variety, Babeasca covering about 2,700 hectares, the same as the Feteasca Neagra. Despite the fact that Babeasca holds a considerable cultivating area, it is nearly inexistent on the shops’ shelves, lots of the producers preferring to commercialize it in different blends. Yielding highly per hectare, giving light wines, quite aromatic and with high acidity-features which make it easy to drink, Babeasca neagra was considered, many times unfairly, to be a sort of “second-hand” grape. 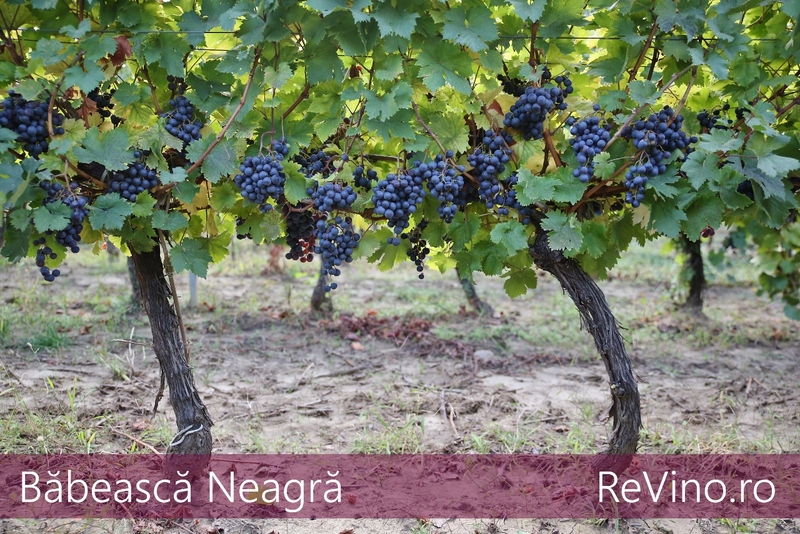 The specialists consider that the birthplace of this traditional Romanian grape, descending directly from the wild vine, is Nicoresti vineyard, Galati County. From this region, the grape has migrated to the 4 cardinal points, settling in the South of Moldavia and in Vrancea, passing through Dobrogea and Dealu Mare, up to Banat and Minis. Babeasca Neagra wine has a ruby color, a medium to high fruitiness and a light body, due to the velvety tannins, almost imperceptible and to the quite high acidity for a red wine. From an aromatic point of view, it exhibits both red fruits aromas (sour cherries, prunes), and floral tones (violets, peonies and iris), placed on a subtle earthy background. In taste, the wine is light, with red fruits notes, sustained by considerable acidity, with a tonic touch in the after-taste. Babeasca Neagra resembles from a structural and aromatic point of view to grapes such as Pinot Noir, Cadarca, Zweigelt, Gamay, St. Laurent or Blaufrankisch. Babeasca Neagra grapes are branchy, with sparse berries and heterogeneous, the cumulated sugar quantity being in average of 180 g/l, up to 210-220 g/l. Sorin Macoviciuc, winemaker at Domeniile Panciu, recommends the Saignae method for Babeasca neagra vinification, which consists of extracting 25 - 30% of the must from the winemaker in order to obtain a rosé and and then to fill the winemaker again with must. As Babeasca Neagra variety has big grapes it does not excel in must-skin ratio. By reducing the must’s volume, one can obtain a bigger skin concentration, and implicitly more flavor and color. Thus, a light rosé and an expressive red wine will be obtained, the latter being eligible for a short period of barricade. Even barricaded, it is recommended to be consumed within 5 years since bottled. 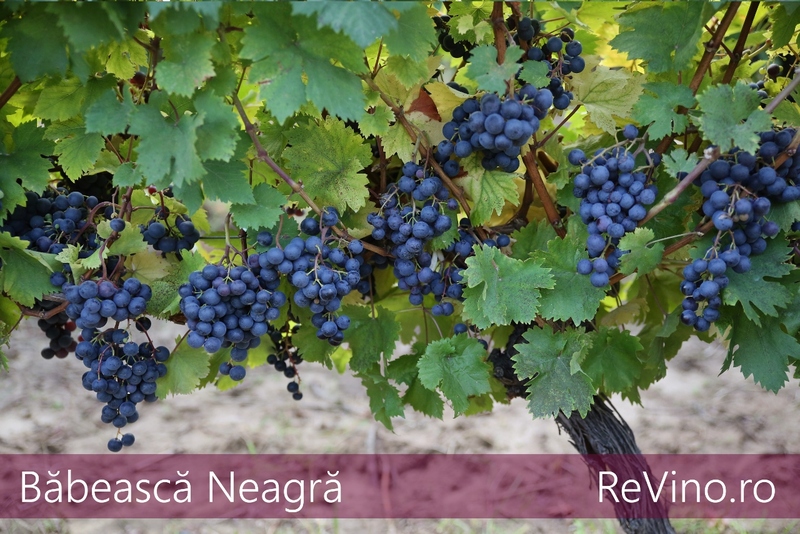 At Nicoresti, there is a Babeasca Neagra clone, called Cracana, which is distinguished mainly by its red grape clusters and by slightly flattened grapes, thus resulting a wine with personality. This a very productive cultivar, assuring very big yields per hectare, up to an average of 15.000 kg/ha.